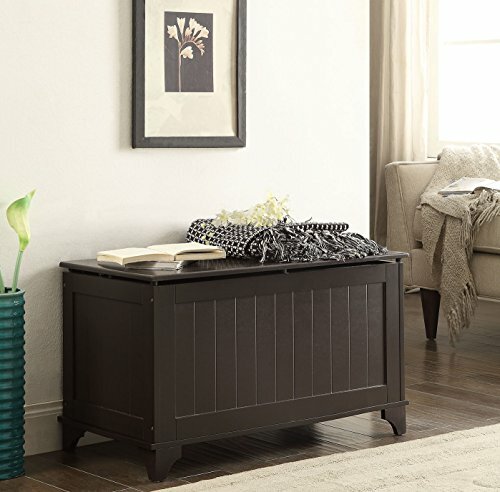 This Espresso Finish Toy Blanket Storage Chest Trunk Box Bench is ideal for your kid's room. Perfect storage idea to tuck your kid's toys. Comes with safety hinges. Measures 32 inches wide x 16 inches deep x 18.25 inches high. Assembly required.